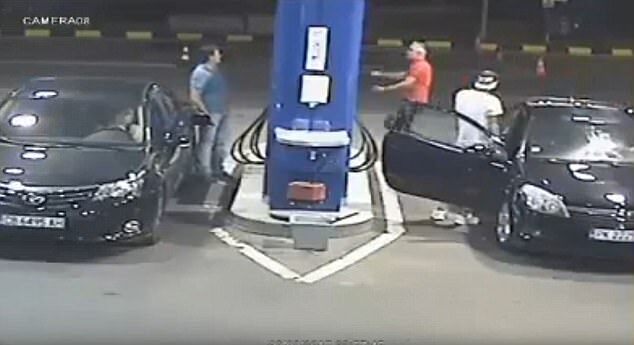 A smoker who refused to put out his cigarette while stopping for gas was taught a valuable lesson by the station's attendant after he doused him with a fire extinguisher. 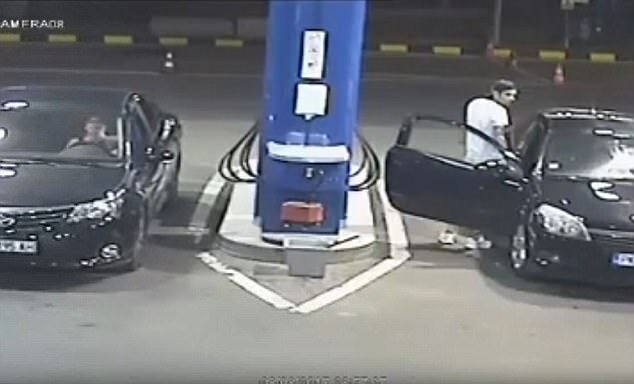 Surveillance footage of the incident shows a young man, dressed in white wearing a baseball cap, exiting from the passenger side of a black car holding a cigarette in his hand. The man in white than looks over his shoulder, appearing to have his attention caught by something not seen by the camera. He apparently defies numerous requests to put out the smoke, seeing as there are flammable liquids dangerously close by. After a few seconds of an ostensible back and forth conversation, a man in a red shirt appears towards the rear of the car walking swiftly towards the backside of the pump. He then begins to dismount what looks like a fire extinguisher. 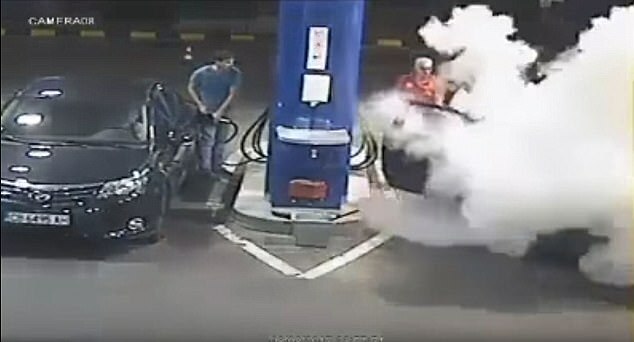 Seconds later the gas station employee blasts the smoker with a plume of white foam.